This was the rationale behind the launch, in the early summer of 2017, of a multi-platform digital resource for military veterans — intended to vet (pun intended) those resources, then make them more easily accessible to men and women leaving military service. 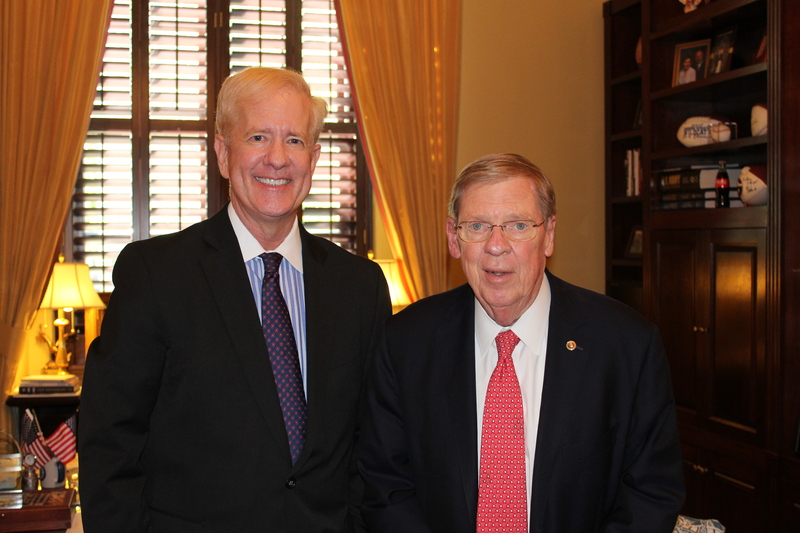 After interviewing Senator Johnny Isakson (R-GA), chair of the Senate Veterans Affairs Committee, for ConnectingVets.com. To help serve this audience of those who had served, CBS Radio (which some months later was merged into the firm Entercom) assembled a team of more than a dozen digital journalists, most of them veterans themselves, some the spouses and family members of vets. 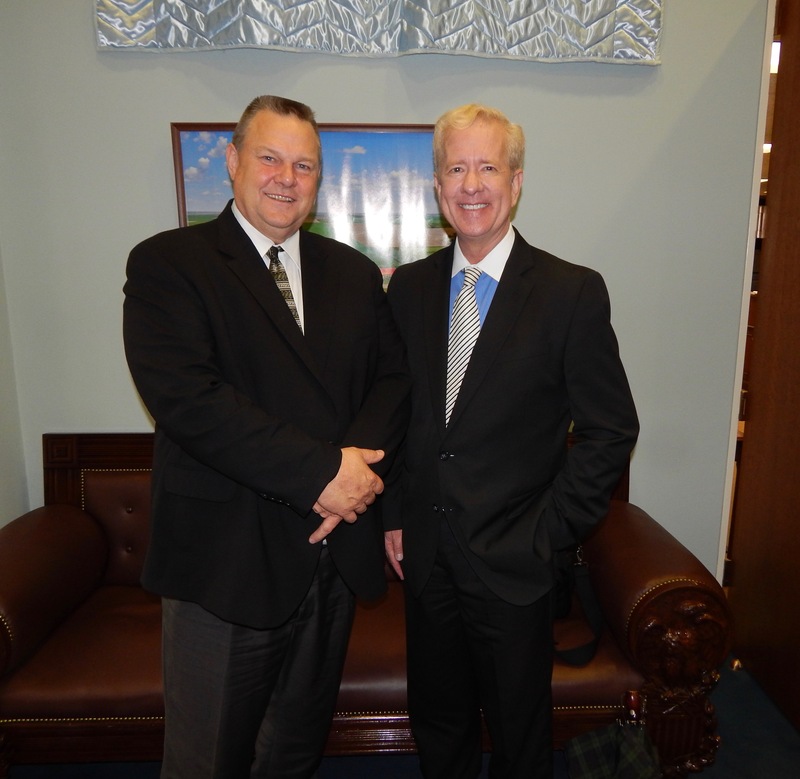 Preparing to interview Senator Jon Tester (D-MT), ranking member of the Senate Veterans Affairs Committee. I was fortunate to be brought onto the project as managing editor of ConnectingVets.com — the products of which — videos, articles, podcasts, and live radio programs — can be found on Facebook, YouTube, Instagram and Twitter. One of my first responsibilities was recording interviews for the project with each of the leading members of Congress dealing with issues impacting U. S. veterans. 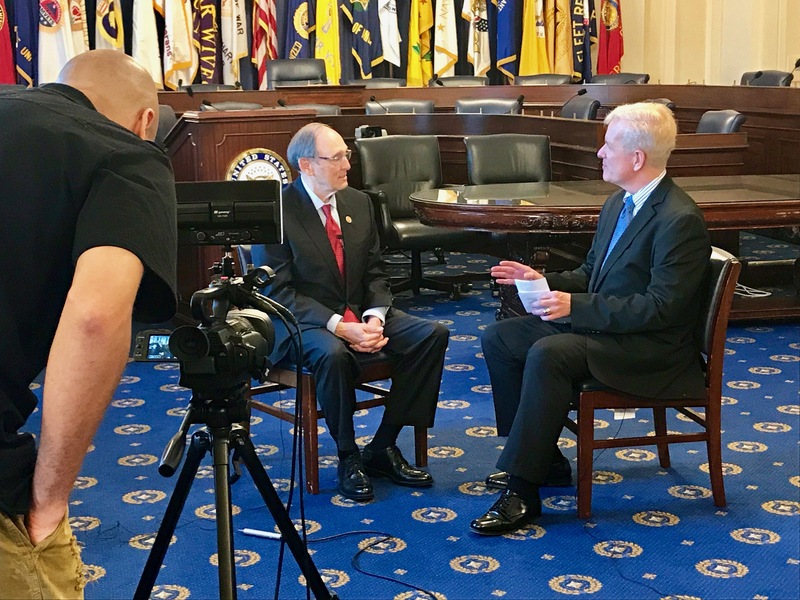 Talking with Congressman Phil Roe (R-TN), chair of the House Veterans Affairs Committee. The first lesson I took from those conversations: at a time of hyper-partisanship on Capitol Hill, when lawmakers gather to discuss issues impacting military veterans, there is far less rancor than during debate over most other topics. 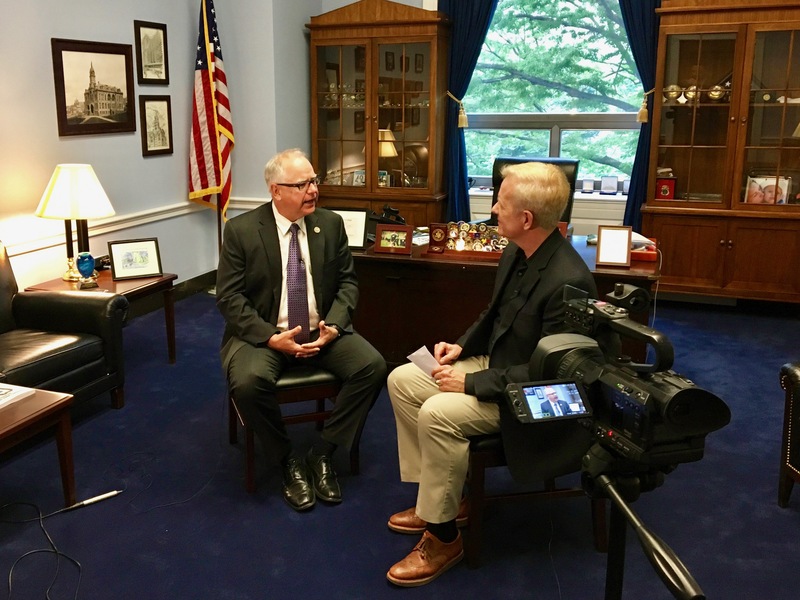 With Congressman Tim Walz (D-MN), ranking member of the House Veterans Affairs Committee — and a retired command sergeant major in his state’s National Guard. Members from both major parties seem willing to entertain each other’s proposals — and appear commonly interested in ensuring that the Department of Veterans Affairs andother government agencies are providing vets with quality care and services.